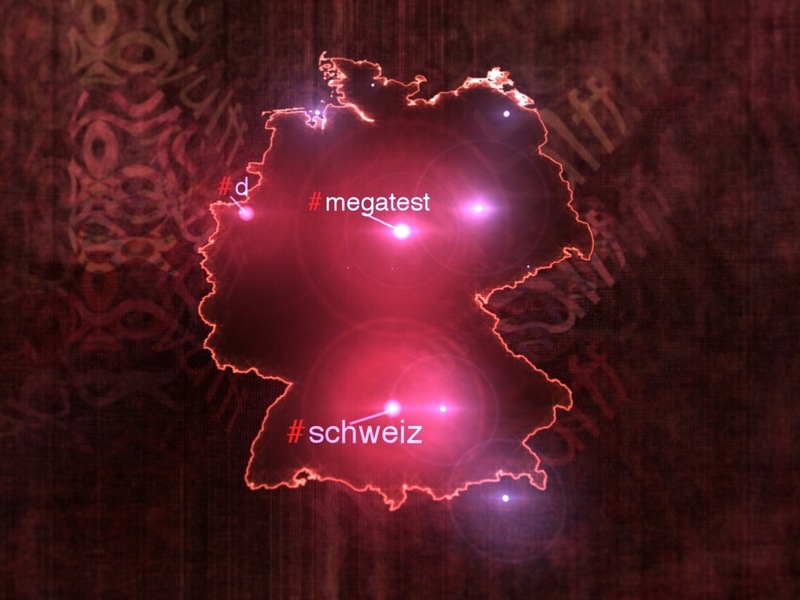 #tweetscapes, made in collaboration with Anselm Nehls, shows what's happening within all of twittering Germany. Twitter messages from all over the country are translated into sound and image, live. Each 'tweet' sent at this moment is immediately heard and seen on the map of Germany. If the tweet contains a hashtag specifying its topic, this topic will be seen and heard also. Each hashtag has their own specific sound and is displayed as text within the visuals. Background sounds and background visuals (seen behind the map of Germany) show the currently most discussed topics. The hotter the topic, the more dominant their sounds and visuals. All visuals within #tweetscapes are done by me with the help of my Versum software.